This is the usual type of public image perpetuated by The Beatles in recent years, via casual comments. The greatest tribute to the tribute band is when the originals take it in good heart. Most of them do. These days, you are nothing if you don’t have one – and it also keeps their music in play. But it can also dredge up old grievances. In 1996, when the Bootleg Beatles played Gilmour’s birthday bash, one of the guests was George Harrison. Afterwards the real Beatle approached the fake ones. 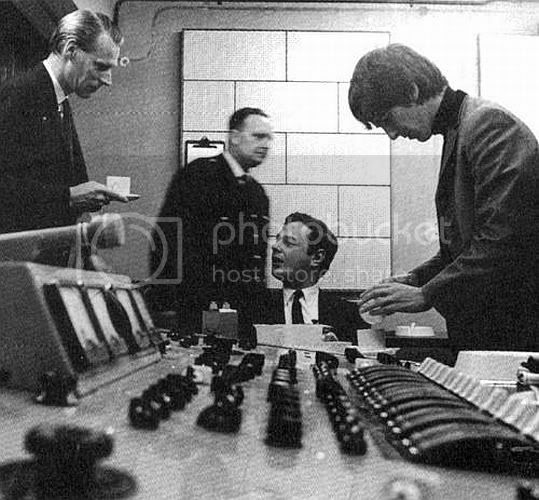 “Which one’s the bootleg Brian Epstein?” he asked. It sounds like George was tossing out one of his off-the-cuff snarky wisecracks, just for shites and giggles. However, the author of the article had the bad judgment to call Harrison's jibe a "grievance." Oh, fantastic, thanks a lot, fella. "All the money," huh, George? Puh-leeeze. I do hope that WAS a poorly worded joke, because you could NOT have been serious. The Boys must have realized that they were extremely lucky Brian wasn't super-greedy like the other managers of the era, such as Colonel Parker.